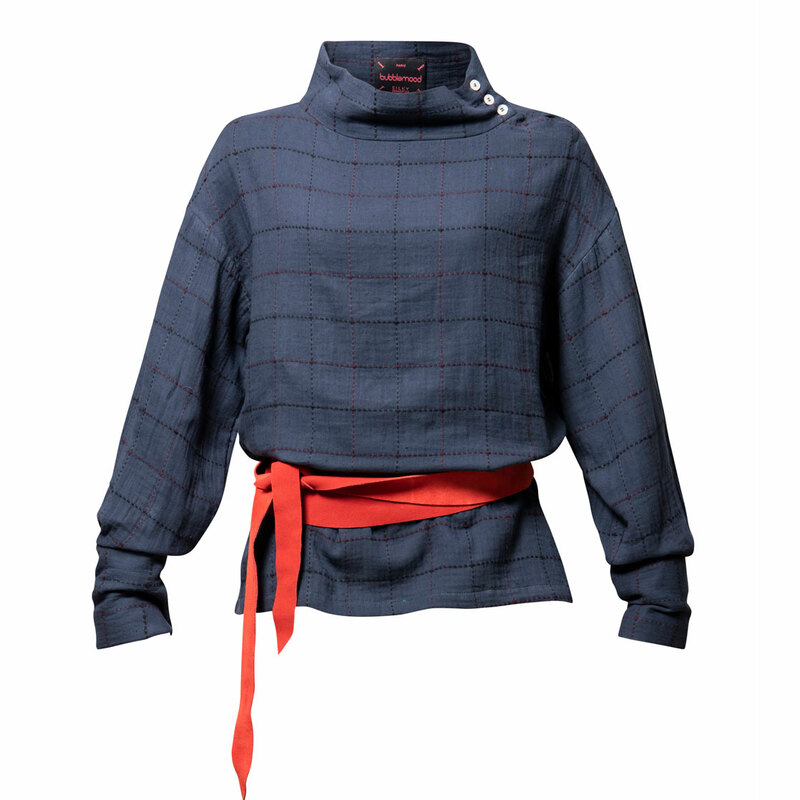 The kimono is shaken up upside down to become the CITY blouse. 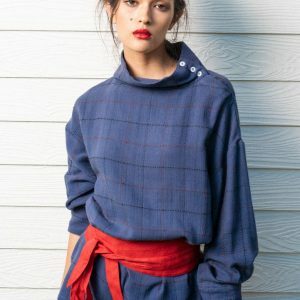 The kimono is shaken up upside down to become the CITY blouse, one piece with clean lines and the perfect balance with the volume of its sleeves and a fitted waist. 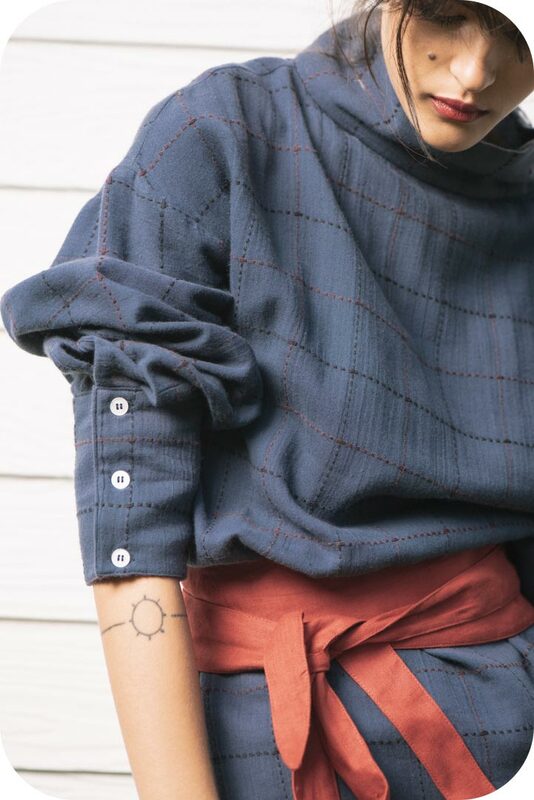 The wrists are delicately enveloped by the handles and buttons. 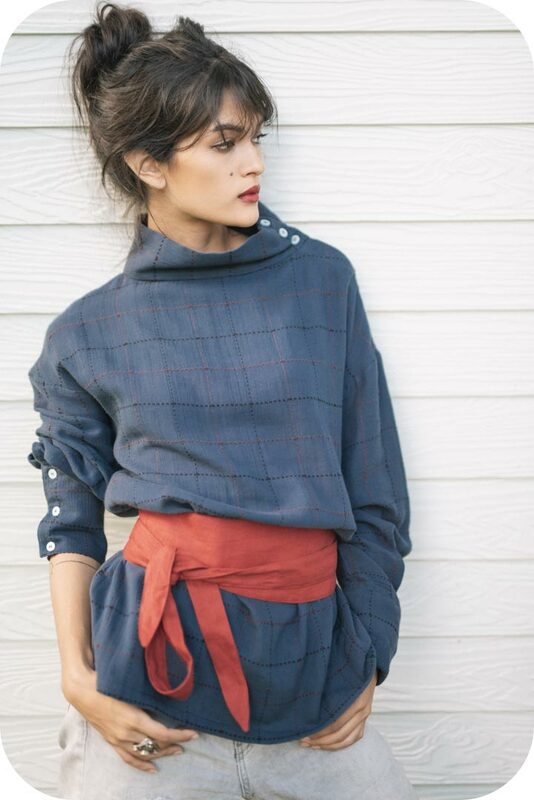 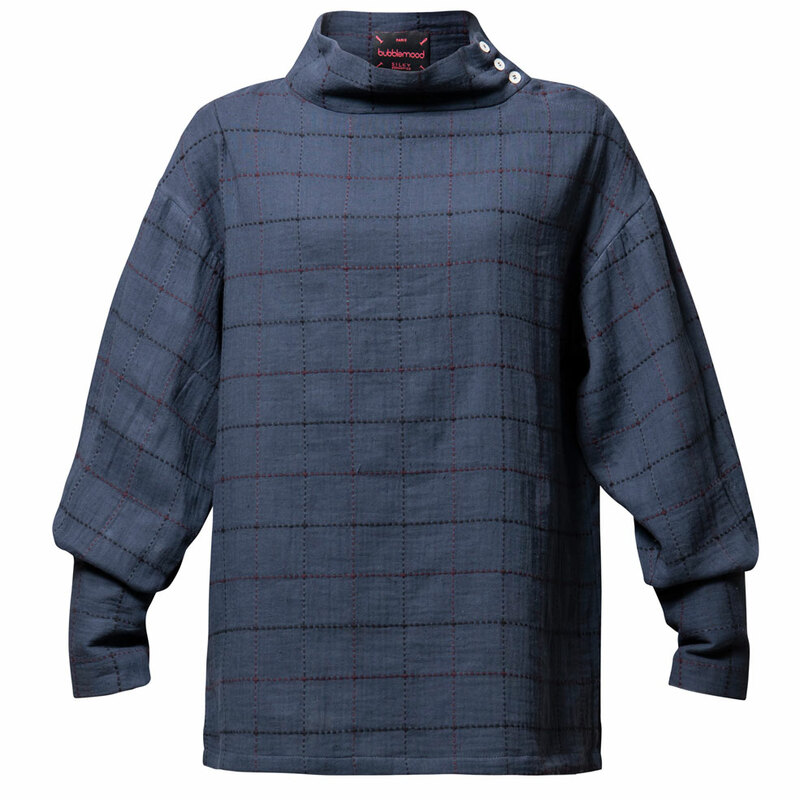 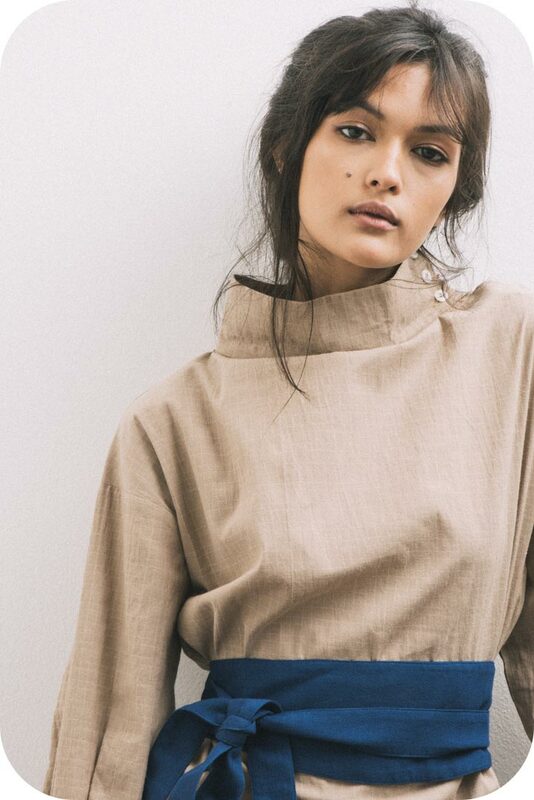 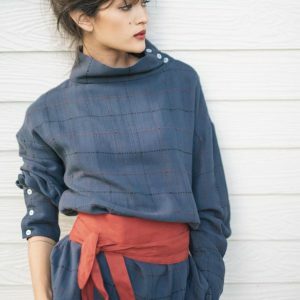 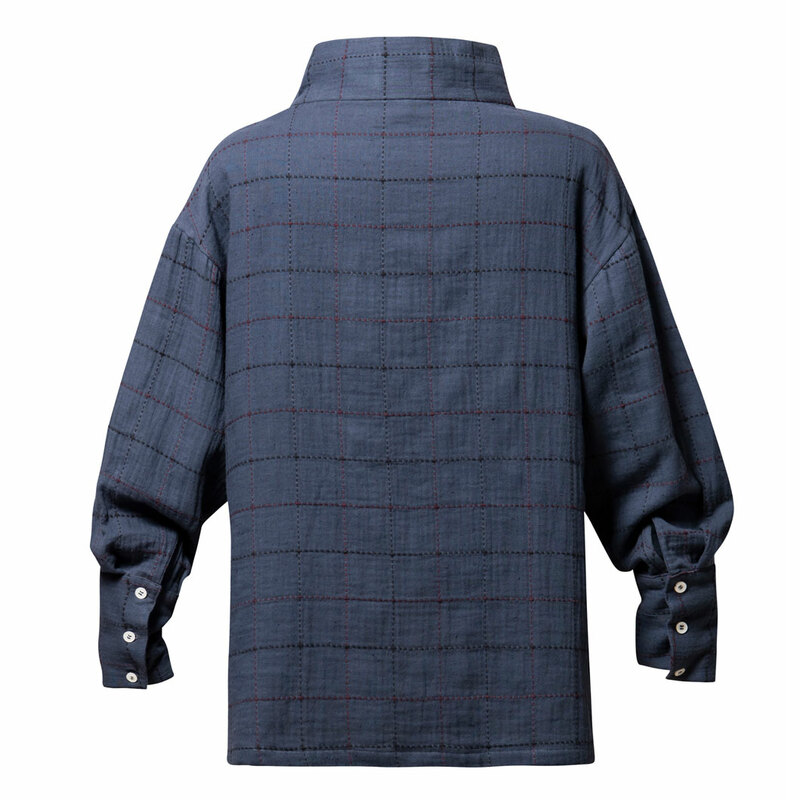 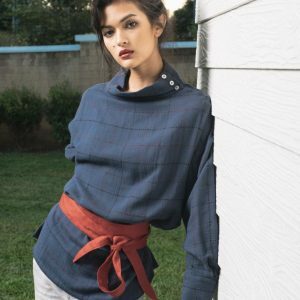 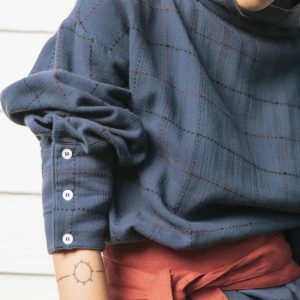 The City Blouse slate grey comes with a red linen belt.